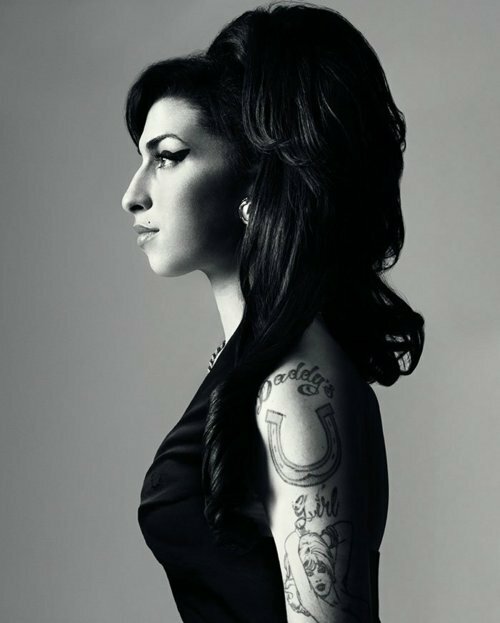 Last week at only age 27 died a really talented singer Amy Winehouse. I've never listened to her music only to her biggest hit Rehab, but I was really sad to hear about her death. Yesterday I bought her CD called Back to black and it's amazing! I really like You know I'm no good or Valerie. She was really talented and it's so sad to see young talents die so quickly. She was inspiration for many british artists like Adele and Duffy so that they could make it not only in Britain but also in the USA. Her blues/jazz voice was so fresh that it attracted many fans even from other genres of music to listen to her. So here are some photos of her and may she rest in peace! Music world will miss her and her amazing talent.